The Philippine Embassy in Madrid joined other ASEAN embassies in promoting trade and investments in their respective countries and in the ASEAN region as a whole, through an Investment Mission to Zaragoza, Spain, last 03-04 July 2017. Post was represented by Minister and Consul General Emmanuel R. Fernandez. The Investment Mission started with a visit to the factory of Proytecsa, a Spanish firm that designs and manufactures high-tech/robotic equipment that can detect, remove and defuse bombs in any environment. The equipment can be operated via remote control, hence eliminating the need for actual people to detect, remove and defuse said bombs. According to Mr. Rafael de Solis (co-owner and Chief Executive Officer of the company) who briefed the delegates during their visit, their equipment has been used for many years by the Spanish National Police in its anti-terrorist campaign, as well as by many countries in the Middle East which are currently battling with terrorism. It is a product that countries like the Philippines could utilize as they face the growing threat of terrorism. On the second day of the investment mission, the delegates paid a courtesy call on the mayor of Zaragoza, H.E. Pedro Santisteve, at the Ayuntamiento de Zaragoza. 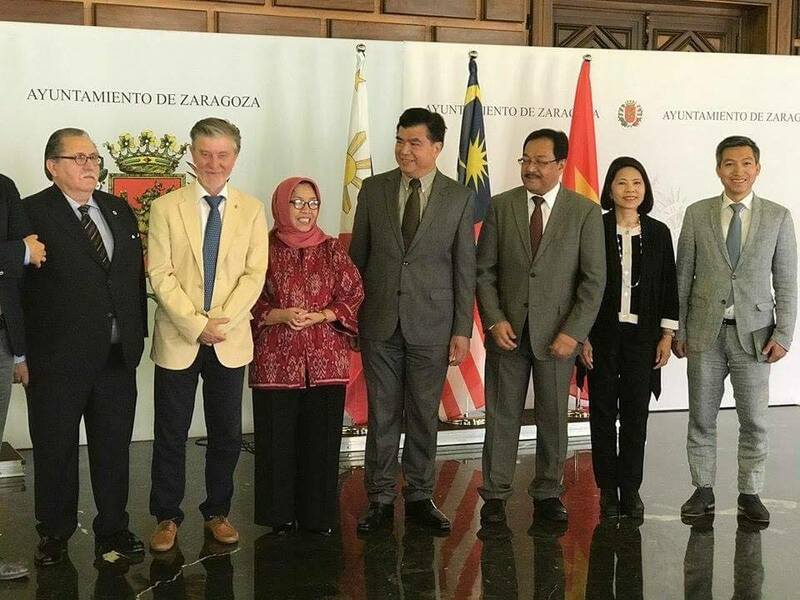 During the courtesy call, the Indonesian Ambassador (who serves as the current Chair of the ASEAN Committee in Madrid) expressed the ASEAN’s desire to deepen the economic relationship between the ASEAN and the city of Zaragoza by encouraging mutual trade and investments. Mayor Santisteve, for his part, not only welcomed the delegates but also assured them of the city government’s readiness to assist the ASEAN in realizing that desire. 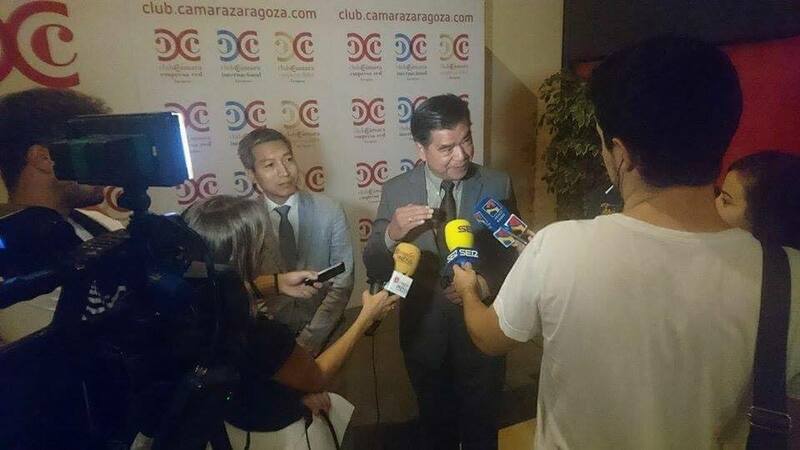 The President of the Chamber of Commerce of Zaragoza, Mr. Manuel Teruel Izquierdo, joined the Mayor in welcoming the ASEAN delegates. 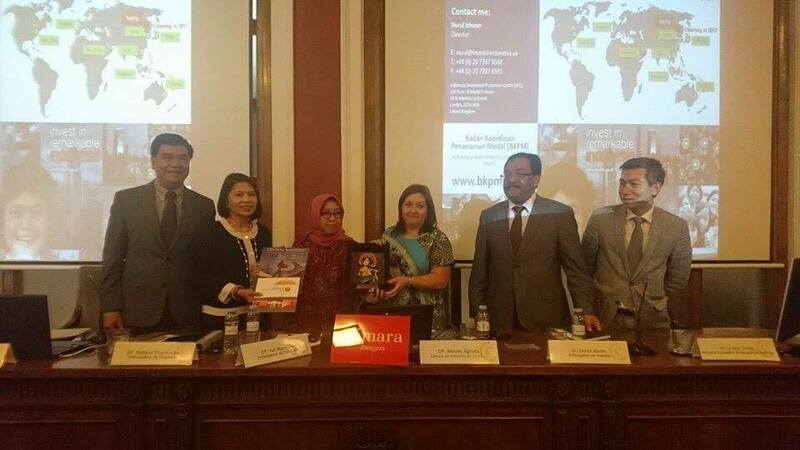 Afterwards, an ASEAN Investment Forum was held at the headquarters of the Chamber of Commerce of Zaragoza, wherein the representatives of the different ASEAN countries spoke about why Spanish companies should invest in their respective countries, and what areas of investments they could explore there. In his presentation, Minister Fernandez emphasized, among other things, the strength and stability of the Philippine economy and the high GDP growth rate it has been exhibiting over the last several years. He also explained to the forum participants how the strong, no-nonsense leadership of President Rodrigo Duterte will further boost the country´s economy and make it an even better investment destination for foreign companies. Minister Fernandez ended his presentation by talking about the President’s “Build, Build, Build” Agenda and the different investment opportunities it can offer to Spanish firms. After the forum, the representatives of the different embassies made themselves available for one-on-one meetings with participants who might wish to explore further the aforesaid opportunities. Minister Fernandez met with representatives of seven Spanish companies who expressed their keen interest in doing business in the Philippines.